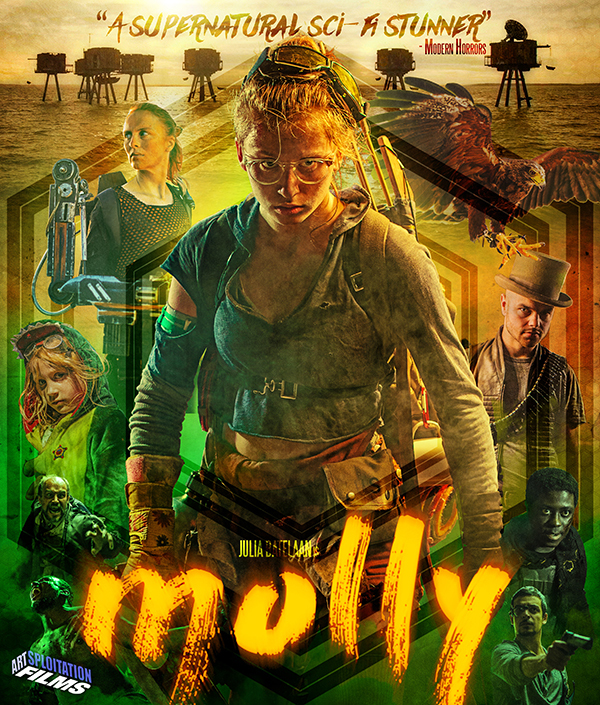 Artsploitation has announced the home video release of the Dutch action/sci-fi thriller Molly. 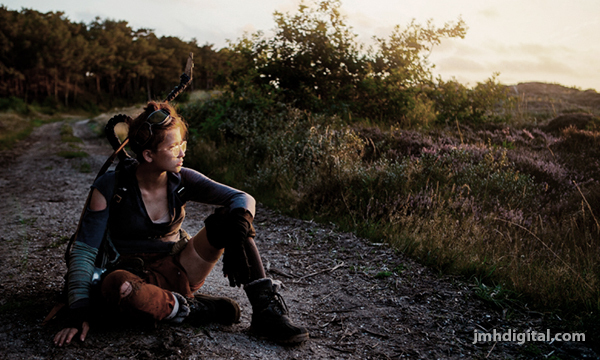 The English-language first feature from co-directors Colinda Bongers and Thijs Meuwese, Molly premiered at the Imagine Film Festival, where Screen Anarchy raved, "like with Turbo Kid two years ago, ingenuity is the name of the game here". Molly will be available nationwide October 2nd on Blu-ray, DVD and Digital HD, including iTunes, Amazon Instant Video, Google Play, Vudu and more. Julia Batelaan makes her feature film debut as the titular Molly, the latest addition to the pantheon of teens standing between evil and the end of the world. Molly is an electrifying and imaginative tale of one young woman's determined struggle to survive in an inhospitable world. In a barren landscape ravished by war, a super-powered young woman roams the violent post-apocalyptic landscape, armed only with a bow and arrow, to confront the dangers around her. When a sadistic ringmaster who runs an underground fight club hears of her supernatural abilities, he sends his sociopathic marauders to capture her and make her a star attraction in his cage fights.